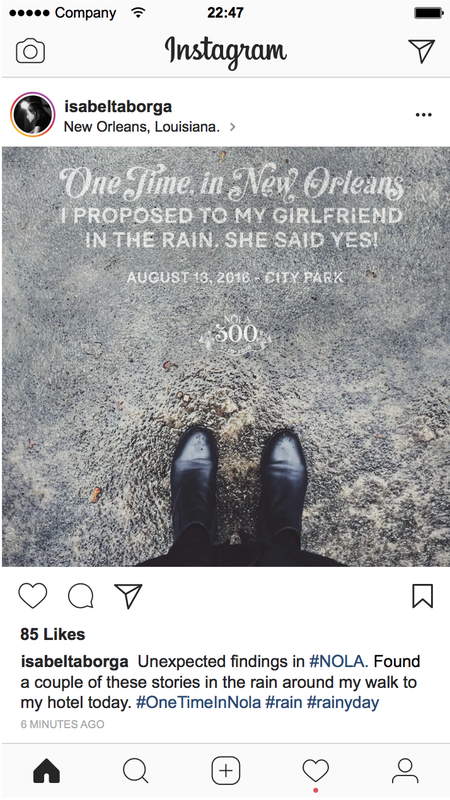 The Task: How can we tell stories in an unusual way, and get people to help a city they don't live in? 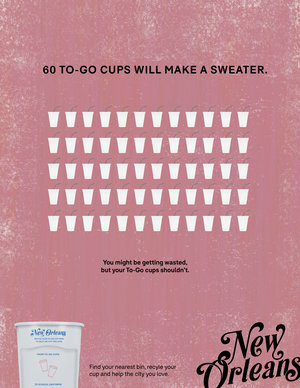 Agency: 360i, pitched work to the NOLA account. 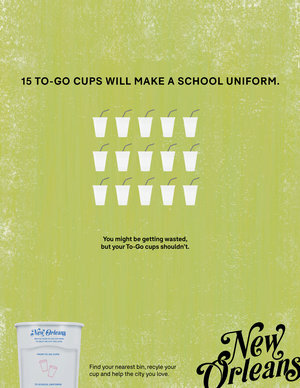 Cups That Matter: Recycle your TO-GO cups and you'll help the city provide school uniforms, rain jackets and sweaters to locals who need it. 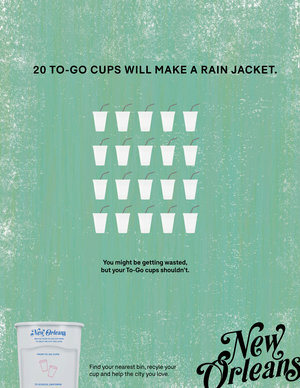 Print Ads: "You might be getting wasted, but your To-Go cups shouldn't"
Revealing Rain: Stories will appear on the sidewalk when it starts raining. Bar Stories: A fun way to share your stories at bars, they can help you remember them too. 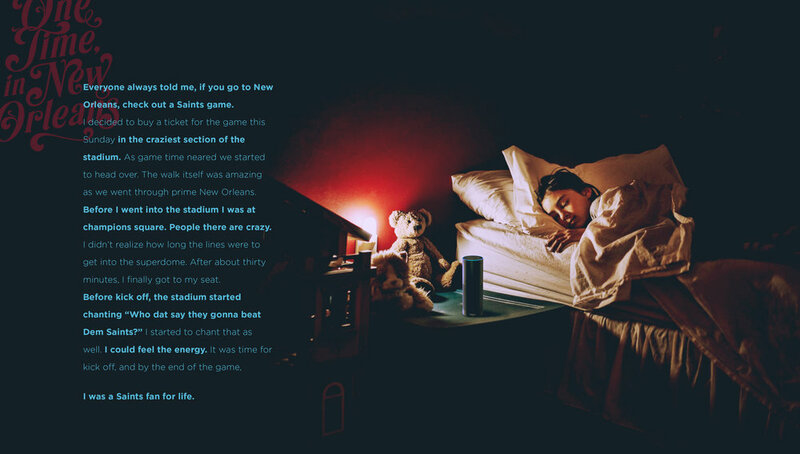 Amazon Alexa: Some stories before bed, "Alexa, Where Y'at?"